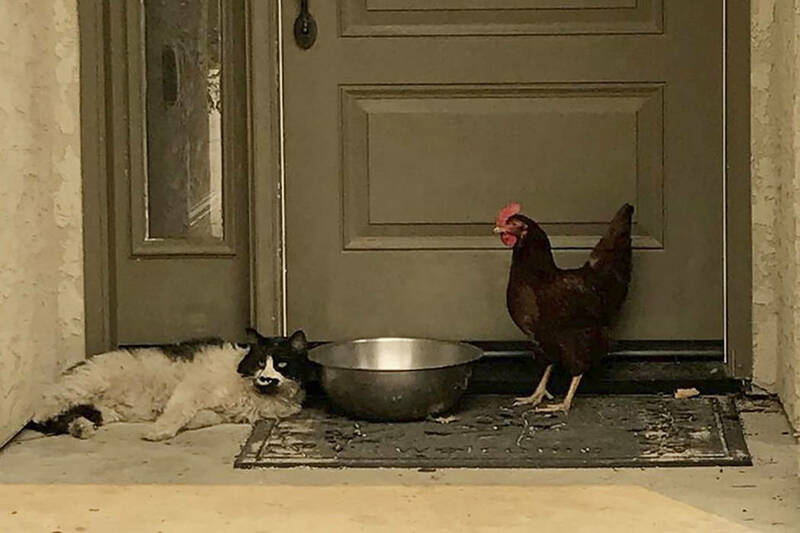 REDDING, Calif. — A cat seeking refuge from a raging Northern California wildfire found a fine-feathered friend as it awaited rescue from the heat and flames. The Grass Valley Fire Department said Thursday a cat and chicken it rescued over the weekend are recovering from burns with the help of the Society for the Prevention of Cruelty to Animals. The feline and hen were found Saturday huddling together on the front porch of a home in Redding during a firefighters’ patrol through a fire-damaged neighborhood.